"This is 7Artisans’ most expensive m-mount lens to date, and personally I’m glad of that – I’m pleased they didn’t sacrifice quality just for the sake of high on-paper specification at an extreme budget price. It is fair to say that it’s not perfect optically speaking – the wild flare is definitely going to divide opinion, and I suspect those who love taking photos of brick walls will complain that the nearly indistinguishable complex distortion causes them issues. But for how sharp it is, even wide open, I’m sure many will be able to forgive it. I’m also sure that many will find the aforementioned wild flare a character trait worthy of embracing – I can imagine it bringing a nice cinematic look to both photos and video if harnessed well. I personally quite like it, though I do worry I might bore of it given particularly high use. That aside, my main complaint about the lens is its shear size and weight of the thing. Personally, this isn’t something I could live with if I were looking for a carry-everywhere 28mm. Size and weight were two of the reasons I sold my Voigtlander 28mm f/1.9, the other being that I found myself disinclined to shoot fast wide angle lenses. 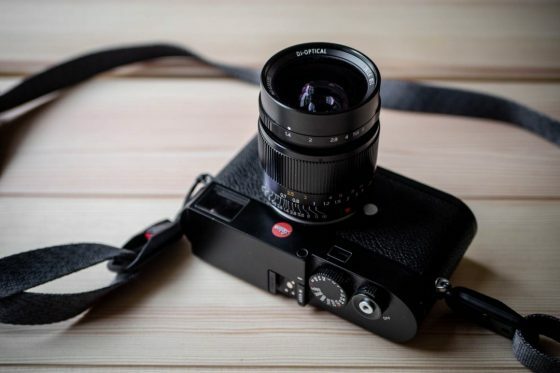 As such, I hope it’s obvious that this is a personal preference issue – if I were more interested in shooting fast wide angle lenses I might be able to overcome these issues for the benefit of my creative goals."